Naminouegu is a very interesting shrine located at the top of a rocky outcrop next to a beach. Historically it is one of the more important shrines in Naha and I could feel the power when I visited. If you are headed to Naminoue beach, there is no harm in visiting Naminouegu as it is right next to the beach. 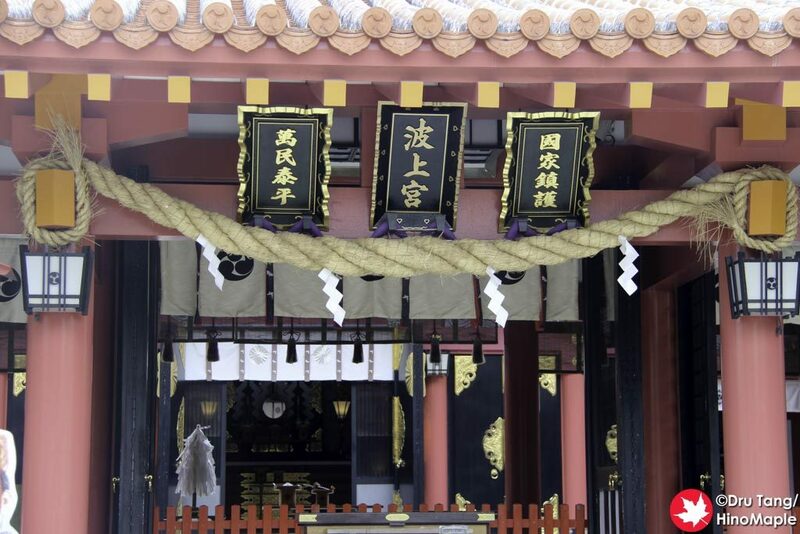 In the past, this was one of the most important shrines in Naha. Many ships would pass by Naminouegu and the sailors would pray for a safe journey. Looking at the location you can understand why they would pray to this shrine. It is located in a small area with not a lot happening but the peace and quiet, especially if you go when the tours are not there, are relaxing. I walked from Asahibashi Station, but I walked back to Kencho-mae Station to return to the central area of Naha. It only takes 15 minutes to get there from either station and you can enjoy the sights of the town as you go along the side streets. 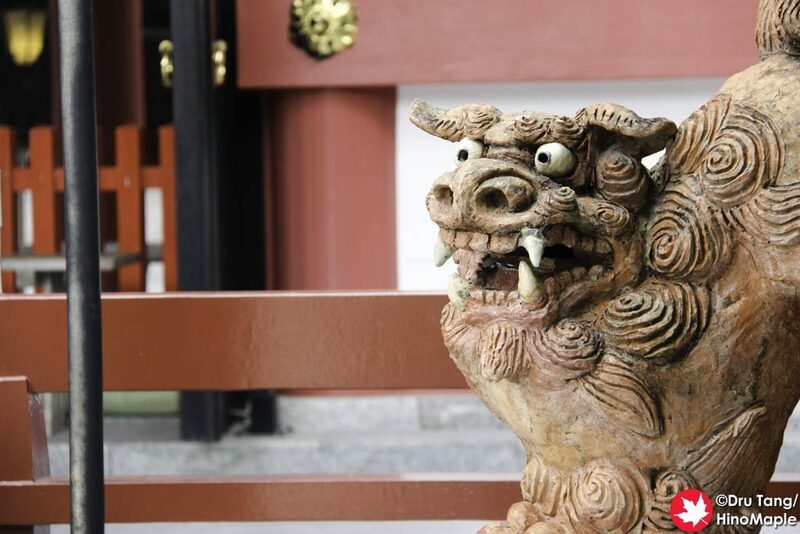 I don’t think it is a great tourist area if you go from Asahibashi Station but Kencho-mae has a few interesting sights along the way, but not many. The main entrance to Naminouegu is pretty standard. You have an outer gate and an inner gate. 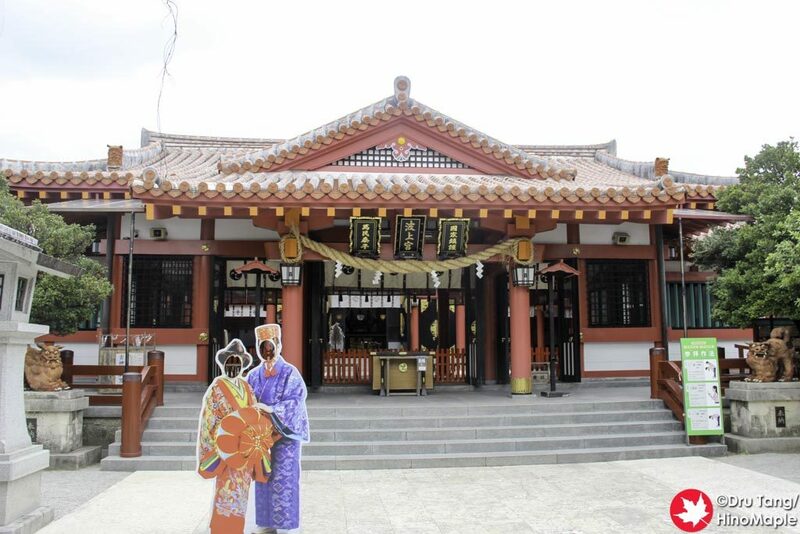 The complex is adjacent to a couple of Buddhist temples and a small memorial. Entrances to each complex are located within meters of each other. I visited one of the Buddhist temples as well as a small memorial but I was not sure what the memorial was for. The larger of the two Buddhist temples was not very interesting as it was a modern building. Naminouegu is pretty small overall. Once you get past the inner gate the main courtyard can be surveyed in under a minute. 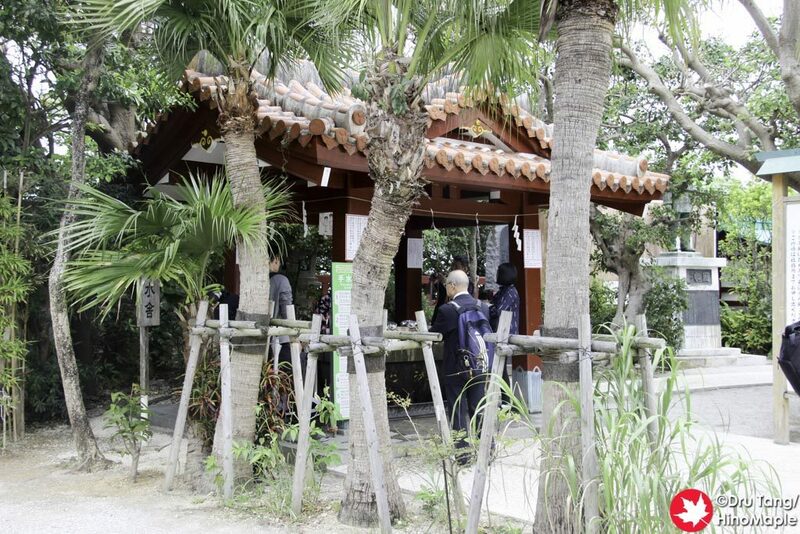 When I visited there was a small group of Chinese tourists getting guidance from their guide on how to pray at a Japanese Shinto shrine. They washed their hands first and then they walked around. I washed my hands and then proceeded to pray at the main shrine. If you are wondering what to do I do have my own guide on what to do but there are also instructions in both English and other languages as well. If you want a handy guide, my Guide to Surviving Japan does have the instructions laid out as well. For the average visitor to who is already living in Japan, Naminouegu really has nothing special. 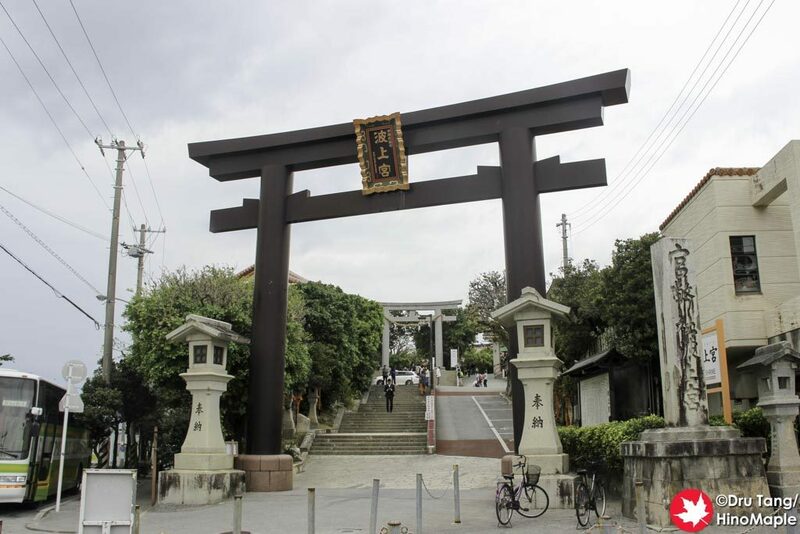 It is a typical Shinto shrine and it is relatively small, compared to the grand shrines on Honshu (the main island of Japan). I do enjoy visiting temples and shrines around Japan even though they tend to be very similar to each other and Naminouegu is no different. I do enjoy visiting them for Goshuin, stamps that show you have been there. I probably wouldn’t have visited if I didn’t want to get my own Goshuin of Naminouegu. If you are in the area or you have never been to Japan, it is a good place to see what shrines are about, but otherwise I would spend most of my time at the beach. 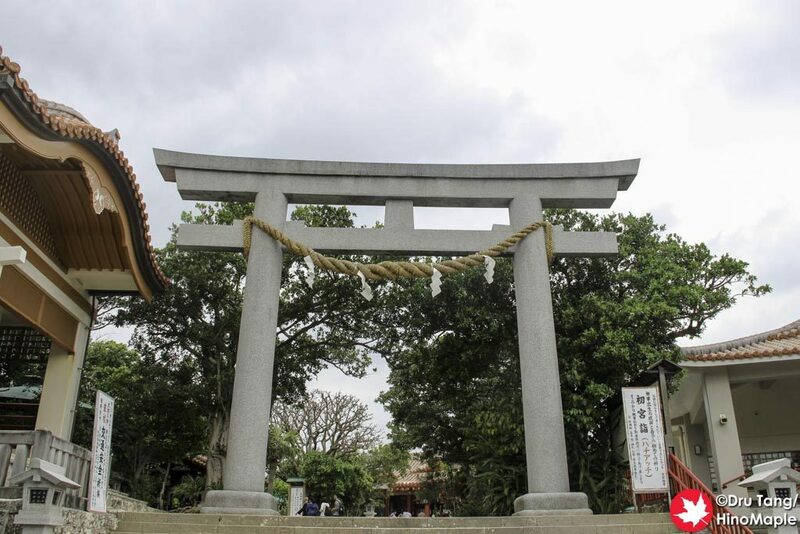 This entry was posted in Okinawa and tagged Goshuin, japan, Naha, Naminoue, Naminouegu, Okinawa, Shinto, shrine by Dru. Bookmark the permalink.